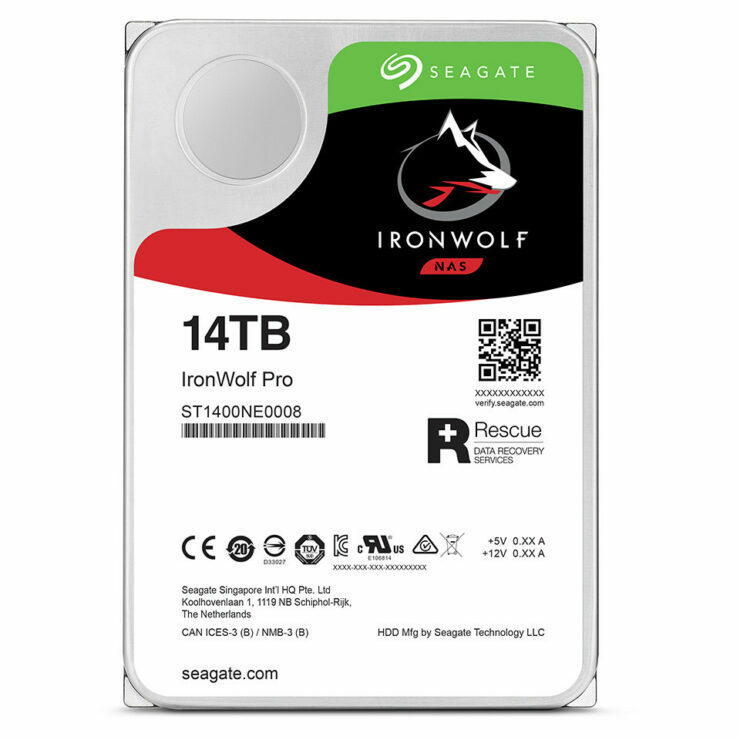 Earlier today Seagate, one of the most well-known brands in storage has launched their newest and the industry’s widest range of 14TB hard drives to broaden their enterprise and specialty drive portfolio. 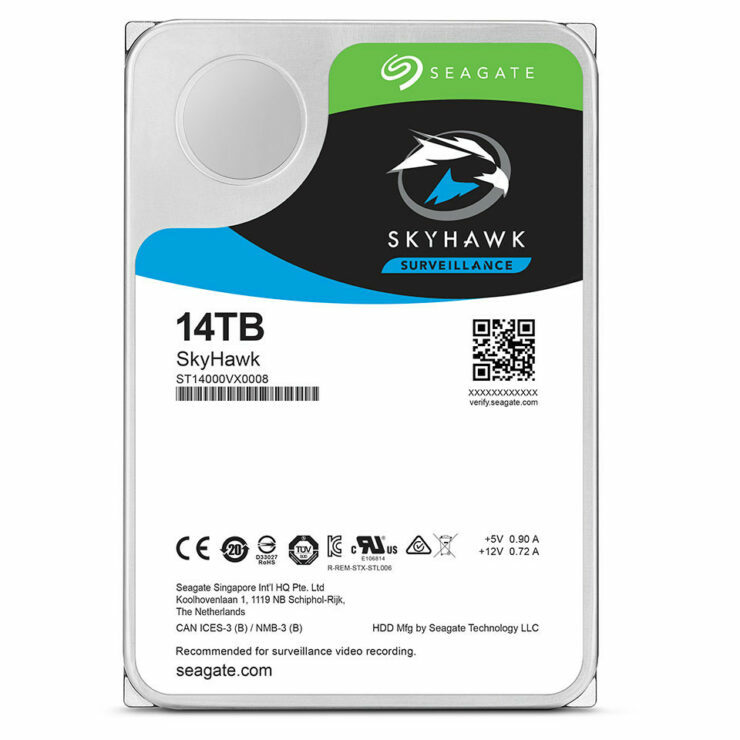 From the Ironwolf and Ironwolf Pro for NAS duties to the Barracuda Pro desktop drive, the surveillance focused Skyhawk drives to the Exos X14 for hyperscale data centers Seagate has added high capacity drives pretty much across the board. 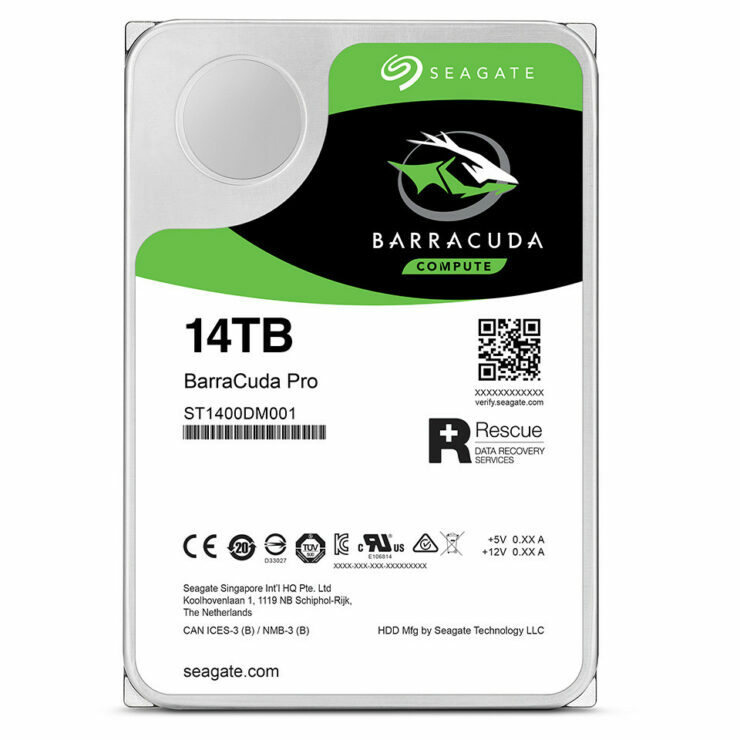 With the release of these drives compared to Toshiba’s offering of ONLY 14TB drives to the datacenter Seagate has made drives available across most of the market segments looking for this much storage. Seagate may just keep the NAND flash-based SSD wolves at bay for a bit longer with offerings like this. Seagate said this is a part of their drive to lead the industry into driving down data storage costs per terabyte through optimization, versatility of application and unmatched capacity. Whether for personal use, creative and design computing, online gaming, or large-scale surveillance systems and hyperscale environments, these drives could end up opening new data management opportunities across a wide range of markets or improve existing markets. “Data protection, management and archiving are no longer strictly the realm of IT departments, but are now essential responsibilities for business owners, creative professionals, online gamers and PC users alike, we understand the critical nature of data in unlocking opportunities to efficiency. From the largest data center to the personal user, our goal is to ensure every customer can access, store and transfer data quickly and reliably, whenever they need it and wherever they are. Matt Rutledge – senior vice president of devices at Seagate. Seagate has a lot to say about each product line, so I’ll go ahead and give you the highlights. 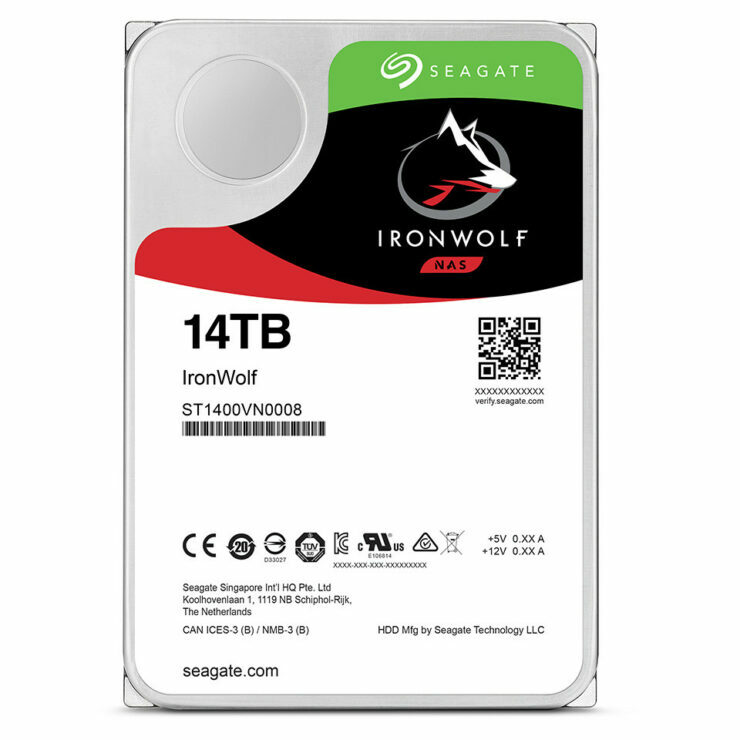 The Ironwolf and Ironwolf Pro drives are designed to be the end all be all drives for high performance NAS applications and are aimed at multi-user environments in mind and have a workload rating of up to 300TB written a year allowing you the most with your or your companies data The drives are optimized with their AgileArray firmware as the other Ironwolf drives that feature RAID performance, dual-plane balance, rotational vibration (RV) sensors, advanced power management, and error recovery control. You also get Ironwolf Health Management and a 2-year Seagate Rescue Data Recovery ServicesHealth Management embedded analysis and recovery software works seamlessly with some of their key NAS partner systems, providing status updates and drive health analysis, allowing customers to be preventative, not just reactive. IronWolf and IronWolf Pro drives feature a 3-year and 5-year limited warranty respectively. 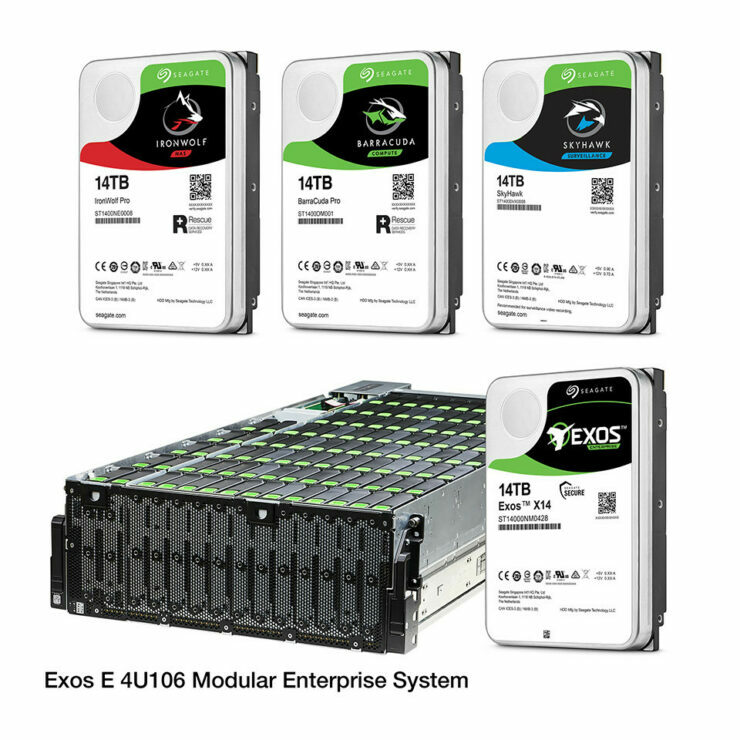 Built for the efficiency, reliability and security demands of the world’s most advanced hyperscale data centers, Exos X14 drives offer enhanced areal density which should deliver higher storage capabilities in a compact 3.5-inch form factor. Combined with what Seagate says is the industry’s lowest power consumption and best performance in its class, Seagate aims for the Exos X14 to allow those running data centers to maximize storage capabilities while reducing complexity and operational costs.